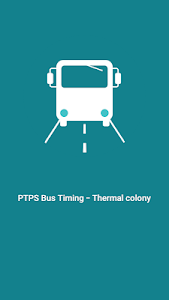 This is informing that there is now an android application for all PTPS Buses Timing. 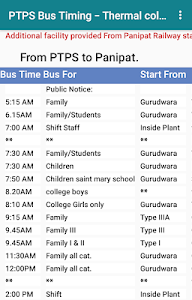 This android application is not officially released by PTPS but the purpose of this application to provide you only Bus Time Information. 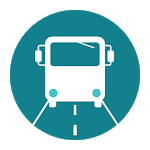 use our app and rate us we are trying to help out our people. 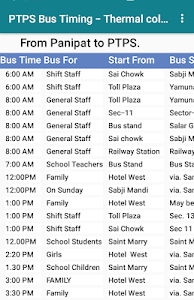 Similar to "PTPS Bus Timing"